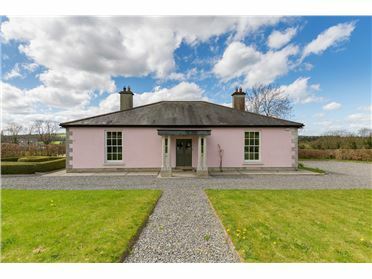 Located in the beautiful countryside of Horetown, this fine 4 bed detached residence which stands on mature gardens offers a wonderful opportunity to acquire a most charming country home. Approached via a tarmac drive and surrounded by well stocked gardens the house extends to c.122sq m of living accommodation. Comprises briefly of a large entrance porch/ sunroom, spacious sunroom, large dining room, kitchen/ breakfast room, 4 bedrooms all with built in storage and family bathroom. Outside there is a detached garage and garden sheds. 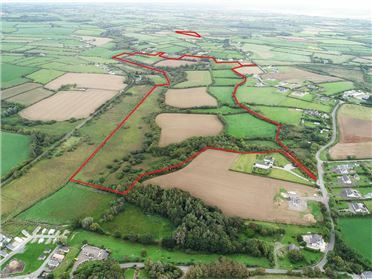 Rourke’s Cross is conveniently located within easy reach of Foulksmills, Clongeen, Wellingtonbridge, New Ross and Wexford Town. Viewing is highly recommended. 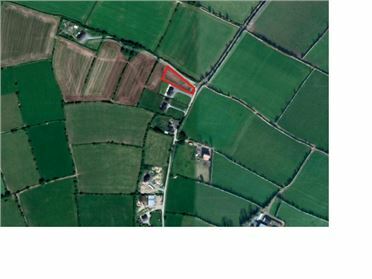 Occupying an elevated position this fine 0.5 acre plot enjoying sweeping views of the surrounding countryside. The site is being sold to planning permission. Guilkagh More is conveniently close to the N25 giving easy access to both New Ross, Glenmore and Waterford. Further information available if required. 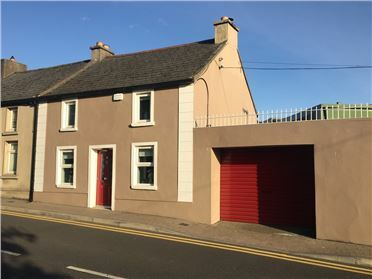 Occupying a commanding location with outstanding views across New Ross & River Barrow, this beautifully presented 4 detached residence offers a rare opportunity to acquire a well-proportioned family home within walking distance of town centre and all amenities. The living accommodation which extends to c. is arranged across two levels and comprises and spacious sitting room with dual aspect, dining room, living room, fully fitted kitchen and guest w.c. on the ground floor. On the first floor there are 4 bedrooms, bathroom and shower room. 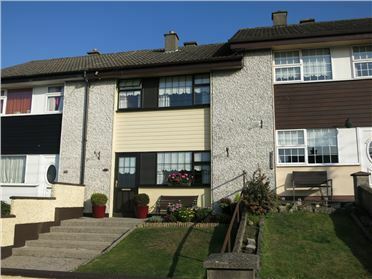 Outside the terraced gardens enjoy a South Westerly aspect maximising the view of New Ross and Barrow Valley, there is also pedestrian access onto Creywell Road. Viewing is highly recommended. Number 1 Town Wall is a most beautifully presented home, conveniently situated within walking of distance of numerous amenities and the Town Centre. The tastefully presented accommodation of 95sq m provides spacious contemporary living space which includes a large open plan Sittingroom with fireplace and solid timber floor, Study/ Bedroom 3, Kitchen with a range of fitted units, Dining Area with double doors to patio area also on the ground floor a fully tiled bathroom. On the first floor there are 2 Bedrooms and shower room. Outside the property benefits from secure off street parking and patio area. The location offers easy access to shops and leisure facilities. Viewing is highly recommended. Number 47 Pondfields is a bright and spacious residence presented in excellent condition throughout. Located in the popular Pondfields development which is within walking distance of the town centre and numerous amenities all adding to its appeal. The living accommodation which extends to c.98sq m is currently arranged to provide a welcoming entrance hall with tiled floor, Sitting room with feature fireplace, Dining room, open plan Kitchen, Utility/ Study. On the first floor there are 3 bedrooms and bathroom. Outside to the front there is off street parking and garden, to the rear there is patio area, garden, shed and rear access for oil and coal delivery. This fine residence is ideal for anyone seeking a turnkey home in a well-established location. Rathsnagadan Lodge is a modern regency style villa residence built in 2001. 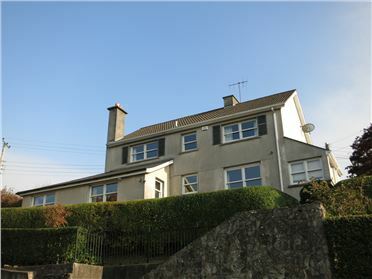 The exceptional three-bedroom property extends to approx. 237 sq. m (2,550 sq. ft.) has been finished to a superb standard inside and out. Gracefully standing on approx. 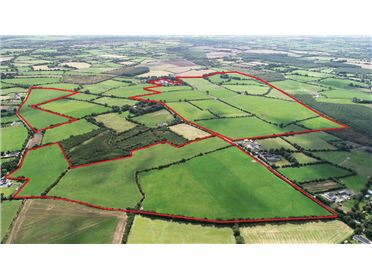 3.05 ha (7 acres) the location of Rathsnagadan commands striking views of the Nore Valley and the surrounding verdant countryside. 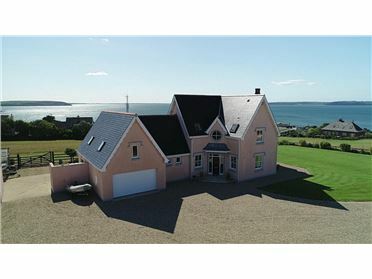 The Pink House, Duncannon occupies a magnificent elevated location in this sought after coastal village and enjoys far reaching sea views from Hook Head to Crook Head. Built in 2001 to exacting standards the property provides impressive and well balanced living accommodation of c. 2,615sq ft (243sq m) plus an integrated double garage with overhead accommodation of 1,033sq ft (96sq m) ideally suited to all modern family’s needs. The property takes full advantage of its spectacular position with all principal reception rooms and bedrooms having sea views. The house which has been exceptionally well maintained boasts many tasteful features including a marble tiled entrance hall, maple wood flooring, high quality fitted kitchen and K Rend plaster finish. Outside the property is surrounded by beautifully landscaped gardens. Duncannon Village and Strand are less than a 5 minute walk away, with the Hook Peninsula which has a host of amenities and attractions including walking, fishing and golf all on your doorstep. Viewing is highly recommended. 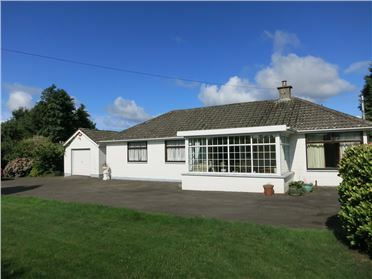 Situated less than 9km from New Ross this fine detached residence of 125sq m comes to the market in lovely condition throughout. Standing on mature gardens the property comprises of a livingroom, sunroom, kitchen/ diningroom, office, 3 bedrooms, bathroom and guest w.c. outside there is a garage/ workshop. 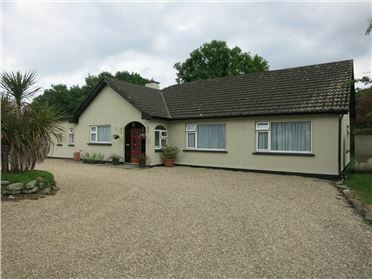 Adjacent to the N30 the property is ideally located close to the new by-pass and Rathgarogue. Viewing is highly recommended.